The core business of a SACCO society is to receive savings contributions from members and to provide them with credit facilities. This is in form of revolving fund from the members’ savings. The law does not encourage co-operative societies to invest funds in non-core business. The first investment that a SACCO Society should invest its funds in is in its members in the form of loans. Here, the society can introduce as many loan products as is practicable. Members should be able to apply and utilize as many loan products as they may qualify for. This should be subject to the regulations in place for loans in general, and for each loan products. When the members’ loan demand has been fully met and there are no pending loan applications due to inadequate funds for lending, the society can invest any surplus funds in financial instruments. this is because the funds can be recalled within short notice when the need arises. The probable areas that SACCO Societies can invest surplus funds in include; purchase of shares in companies and other institutions, investing in Government treasury bills, putting money in fixed deposit accounts. Surplus funds should first be determined and should be invested in institutional funds or other SACCO. Before the officials decide to invest any surplus funds and where, they should properly analyze the funds position and ensure the excess liquidity is not temporary and that the core business will not be affected. Any investment of society funds outside the core business should be able to conform with and promote the basic goals and objectives of the society. the society should be able to get maximum return on the investment for the benefit of the members. For SACCO Societies that qualify and are able to open and operate Front office Service Activity (FOSA), surplus funds can be invested in that activity and be utilized by members through various products that may not be offered through the back office. 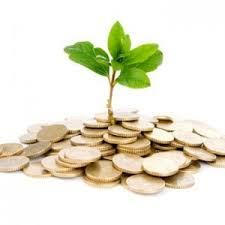 Such products include short term loans and advances and loan clearing for the back office. These products have become very popular with members and are a good source of income for SACCO Societies. Where a society wants to invest in a building for own accommodation, or enter into long term investment, then it should use institutional capital and not members funds. Where a society invests in real estate other than for its own accommodation, it shall not hold more than 20% of the equity in the investment. It should also not expend a sum exceeding 25% of its share capital in such venture. SACCO Societies should not enter into the business of acquiring land or buildings for members. Members can form separate housing co-operatives for such activities. Members should also be sensitized and encouraged to get individual loans from their societies and join with like minded friends to acquire property. they can later decide on what to do with the property jointly acquired. Any involvement in non-core business should get the approval of the Commissioner and general meeting through a special resolution. It’s not my first time to visit this web site, i am browsing this website dailly and get good data from here all the time.